Fly4Pix can help with your videography service needs. We have state-of-the-art cameras that give our clients the sharpest HD video footage available. We specialize in videography services for websites, social media and other online purposes. Videos can also be edited to correspond with your business’s branding through the incorporation of logos and company colors. Video testimonials to help sell your product or service. 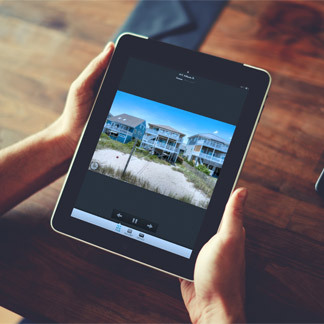 Residential or commercial video walk-throughs to showcase real estate listings. Plus, add in FAA approved drone footage to give your customers an aerial view of your listings, perfect for waterfront and golf course facing homes. Always willing to work with us and make changes if necessary! Copyright 2019 Fly4Pix. All Rights Reserved.